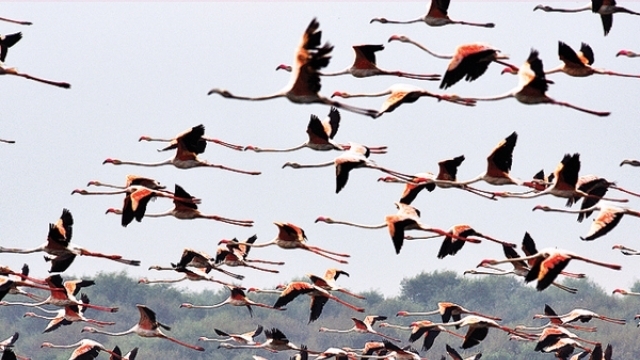 Why is quantum entanglement key factor in bird migration and bird navigation? Bird migration is a long journey for birds that have to change their location to find new resources due to decreasing food resources or water resources in their habitats. Birds have to reach their destination point by taking a long distance such as North American Arctic terns fly approximately 40.000 kilometers (or 24.000 miles) around the world to reach their destination point. However, birds do not have any device that can detect their location through the satellites in the space as humans have, or they can not make any assumptions about their location by using the data which has travelled among the servers as humans can, yet birds are better than us in navigating. There are a bunch of theories about how birds navigate and know precisely where they are going to, but the most intriguing theory is that birds can detect the magnetic field of Earth via quantum entanglement. Some types of birds have to travel for breeding to a new habitat because of severe weather conditions which may affect the gestation period for them. Also, seasonal changing exacerbates seeing the patterns of stars(constellations) to navigate, which is an old theory for bird navigation, but birds can detect the magnetic field around them via quantum entanglement according to the experiments on the structure of bird eyes. Chemical compass is a protein complex, which consists of an iron-based protein binding with the cryptochrome. MagR(magnetoreceptor protein) is the iron-based protein proved to present in birds retina. Cryptochromes are light-sensitive proteins and involved in the circadian rhythms of plants and animals(2). A photon may generate entangled electrons when light strikes to birds eye through birds retina. The direction of the spin of entangled electron lies either precisely in the same direction as the applied magnetic field or in the opposite direction. Entangled electron alters chemical reactions occurring in cryptochromes by affecting the formation of molecules according to the spin direction of the applied magnetic field. Therefore, birds can detect the magnetic field indicated by the altered molecules in cryptochromes. Birds have reached their destination point and navigate the location of their nests for thousands of years by processing chemical reactions that altered by quantum mechanics, and we are only beginning to understand what animals are capable of. (1) Stannard, R. 2010. The End Of Discovery. Oxford University Press. 200 pp. (2) Popular Science. 2015. Protein Compass Might Explain How Animals Detect Magnetic Fields. https://www.popsci.com/researchers-find-chemical-compass-that-might-explain-how-animals-detect-magnetic-fields. Accessed May 10, 2018.